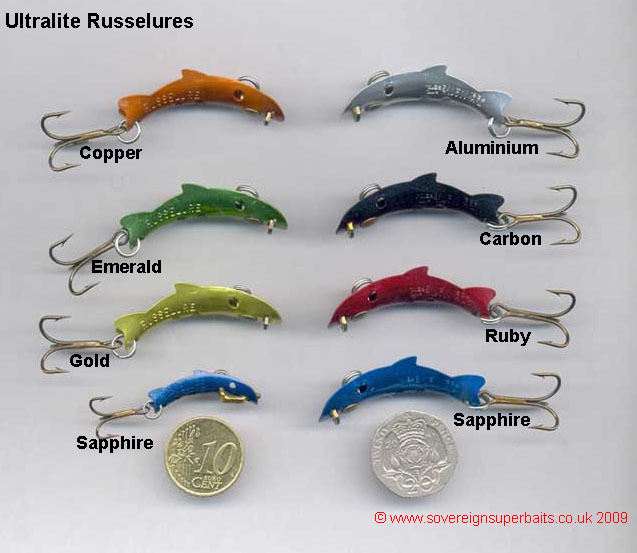 Ultralite Russelures: These are the ultralite versions of the infamous big game lure held in such high esteem by Nile perch and tuna anglers the world over. Indeed this lure is so popular in the States that we have had to wait almost a year for our order. On its very first dip on a recent Dutch trip it accounted for some respectable perch and will no doubt prove extremely popular on the big perch waters in the UK. Originally designed for trout in fast flowing rivers, this lure has an extremely aggressive action and trolls beautifully.